Attend WordCamp Raleigh 2012 This Weekend! At ManageWP we love to support the WordPress community in whatever way we can. 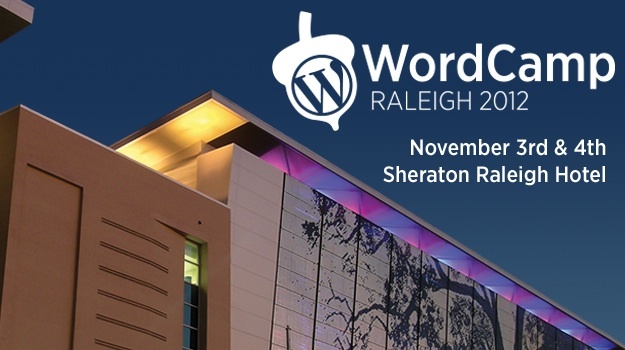 With that in mind, we wanted to let you guys know that WordCamp Raleigh (NC) is this weekend and represents an awesome opportunity to attend presentations by some awesome folk and get more involved in WordPress! In a nutshell, if you want to learn more about WordPress and get to know fellow WordPress users, you should be attending WordCamps. This year, WordCamp Raleigh 2012 has no less than 24 sessions grouped into three categories — users, power users, and developers. There is definitely something for everyone. Tickets are only $40 and include food and beverages (not to mention the awesome networking opportunities of course!). You can register at the official WordCamp Raleigh 2012 website. If you’re based in the Raleigh area, make sure you check it out!